‘Loving Now’ is available for instant download. Click below to purchase or scroll down for more information. Josh Wise has been counseling couples and families for the past decade. He is passionate about meditation and mindfulness, and applying these skills to cultivate more loving relationships. 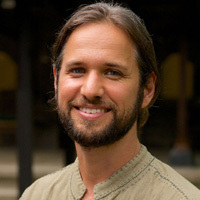 He’s the founder of Mindful Couples, the number one couples meditation site on the web. His approach to using mindfulness in relationships has been noted in Mindfulness Magazine. Josh has master’s degrees in Psychology and Alternative Education. Josh strives to apply this mindful wisdom in his own life and in his relationship with his wife, Lindsey. Together, they offer retreats and workshops for individuals and couples. To give you added peace of mind, we offer a 100% Money Back Guarantee on all of our products. We’ve built our reputation by helping people feel happy, comfortable, and at ease. If you aren’t totally satisfied with your purchase of our meditations, just send us an email and we’ll refund your purchase.